Water fuels your body’s mechanism. Many of the body’s everyday processes are driven by water: It brings nutrients to the body’s cells. It regulates your body’s temperature by absorbing heat. It helps in digestion. Without water, all these will stop, and your body will shut down. Staying hydrated helps you focus. 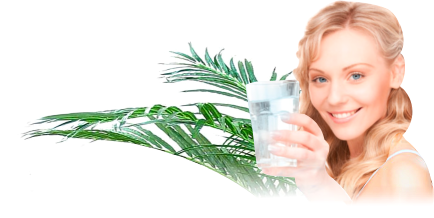 Did you know that not getting enough water can put you in a bad mood, leave you fatigued, and give you headaches? If you’re having trouble concentrating on those spreadsheets, perhaps you’re not getting enough spring water, so go hit the water cooler right away! It helps maintain your weight. 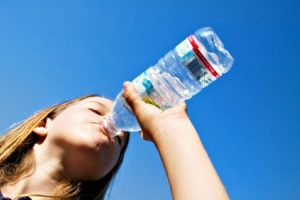 According to a study by the American Chemical Society in Boston, people who drank two 8-ounce glasses of water 20 to 30 minutes before every meal lost five pounds more than those who didn’t. If you’re serious about losing weight, make the office water cooler your best friend. It cleanses your body. The body needs water to rid itself of waste and toxins, which come out in the form of sweat, urine, and stool. This helps reduce the risk of kidney stones and urinary tract infections, according to a 2011 study by the University of Sydney. It helps strengthen your muscles and your joints. Water is what carries oxygen to your body’s cells, thus enabling you to stay on your workout longer. Your muscles are also able to work harder and longer when you’ve had enough water, and this constant action is what helps you build muscle. If you’re a runner, you would be happy to know that water helps lubricate the joints and makes the muscles flexible, so you can do more laps smoothly and without the pain. Make sure you always have clean, safe bottled or spring water within reach. Pacific Springs has been in the water delivery service for more than 10 years. It can deliver bottled spring water to your Brisbane office or install a water filter in your headquarters. A simple call is all it takes. This entry was posted in Spring Water Delivery, Water Health and Safety (OH&S) and tagged clean water, drinking water, safe water, spring water, water, water benefits, water delivery by Teala. Bookmark the permalink.